TransposerMandoTabs Transposer Choose how many half steps you wish to transpose the chords in this song and click on the button. MandoTabs Transposer Choose how many half steps you wish to transpose the chords in this song and click on the button. TEXT SIZEText Size Use this to make the text smaller or larger. ADD FAVORITERegister!When you register you can click this icon to add this song to your favorites list. You can register on the favorites page. MandoTabs > Your Favorites. Difficulty 3 / 5A more challenging song for intermediate players. CommentLeave a comment below! Print this song Simply click this little printer icon and your browsers print screen should open. Report Issues Having troubles with this tab? Do you have some improvements? Report it! AutoscrollAuto ScrollerClick the numbers to scroll, or use your keyboard numbers OR F keys to set the speed (F1 -> F4). Use the ESC key to stop scrolling. This arrangement for the song is the author's own work and represents their interpretation of the song. You may only use this for private study, scholarship, or research. MandoWorld and its derivatives do not own any songs, lyrics or arrangements posted and/or printed. Owl City is an American electropop musical project by Adam Young. Young started out making music in 2007 in his basement in his hometown of Owatonna, Minnesota, United States, later developing a following through his MySpace profile before being signed to Universal Republic. 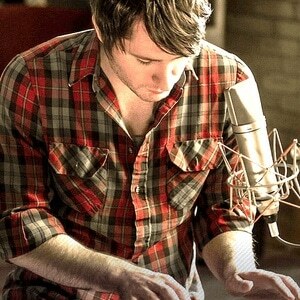 Young has released four albums under the Owl City moniker: "Maybe I'm Dreaming" (2008), "Ocean Eyes" (2009), "All Things Bright and Beautiful" (2011) and "The Midsummer Station" (2012). MandoTabs.com 2013-2019, Part of the MandoWorld network, Some Rights Reserved. MandoTabs does not own any songs, lyrics or arrangements posted.